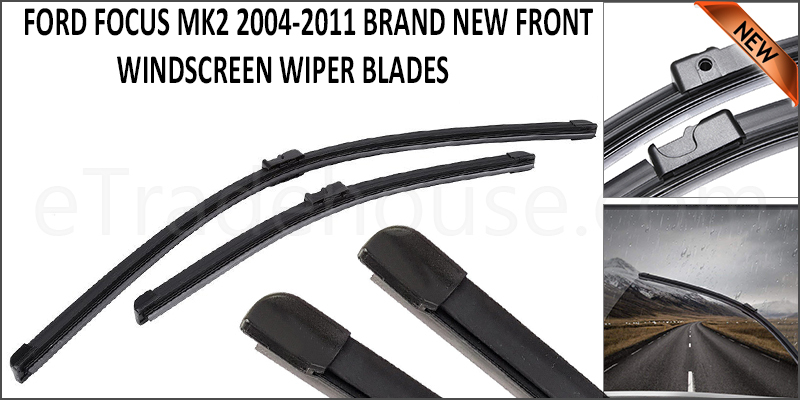 FORD FOCUS MK2 2004-2011 BRAND NEW FRONT WINDSCREEN WIPER BLADES 26"17"
You are requested to kindly check the installed Wiper Blades in your vehicle and compare it with the wiper blade we are selling. If there is any difference, feel free to email us through eBay messaging. • Direct fitting clip system installed on each blade means no nasty hassle adaptors to try and work out how to fit.